The U.S. Consumer Product Safety Commission and Health Canada in cooperation with TJX Companies, Inc., of Framingham, Mass. have recalled about 21,000 Emma’s Garden® Polka-Dot girls’ dresses in the U.S.and 2,600 in Canada. The decorative buttons on the front of the dress can detach, posing a choking hazard. No injuries reported in the United States or Canada. 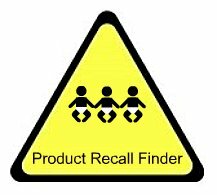 This recall involves the Emma’s Garden® polka-dot dresses. 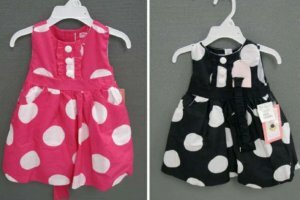 The girls’ dresses in sizes 12 months to 5T were sold in black and white and pink and white. There are three decorative buttons which are round, white and approximately ¾ inch in diameter. Dresses sold in the United States have neck tags bearing tracking number TJX-80327TDS1. The dresses were sold as follow: T.J. Maxx sold the pink and white design and Marshalls sold the black and white design in the United States from February 2011 through May 2011 for about $13. Winners stores sold both designs in Canada, from March 2011 through April 2011 for about $17. They were manufactured in China. Consumers should immediately take the dresses away from children and return them to the place of purchase for a full refund.